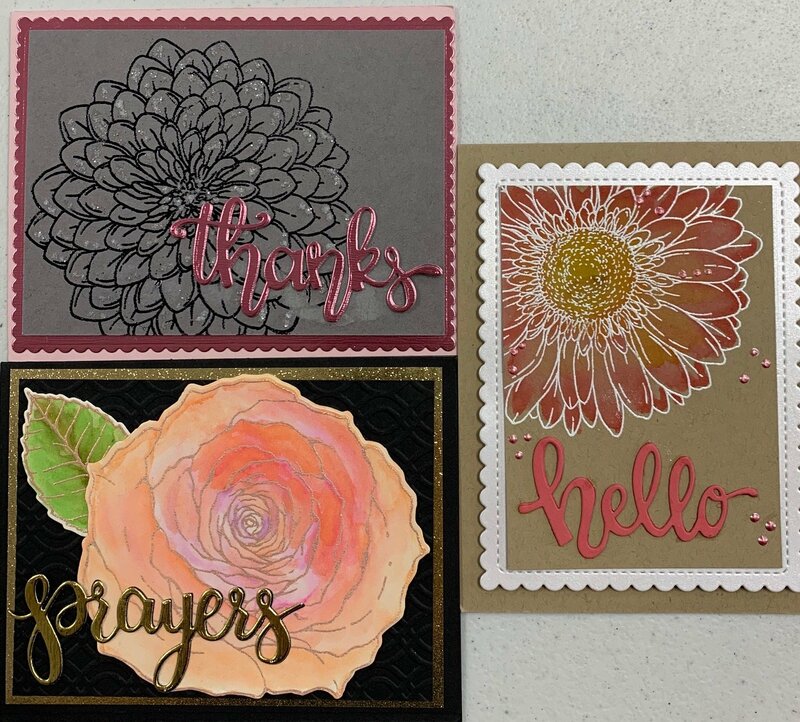 Create 3 beautiful cards in this class. You will emboss the flowers and learn different coloring techniques. Tape runner, glue pen or liquid glue, foam adhesive, heat gun, and optional waterbrush.